For the last few years, we’ve heard, “Anti-CD47 is coming, and it’s really going to mess up our testing!” Now it’s here, and we were right! Connie Westhoff explains how we can accurately test our patients’ blood. Several years ago, daratumumab, a chemotherapy drug with a funny name, was introduced to the world to treat multiple myeloma. Unfortunately, “DARA” had an unintended effect: It interfered with some aspects of routine blood bank compatibility testing (see episode 10 of this podcast for more information. You Think DARA was Bad? Almost since DARA was introduced, there have been rumblings and rumors about a new chemotherapeutic agent, anti-CD47, that would have FAR greater impact on the routine tests performed in blood banks everywhere. 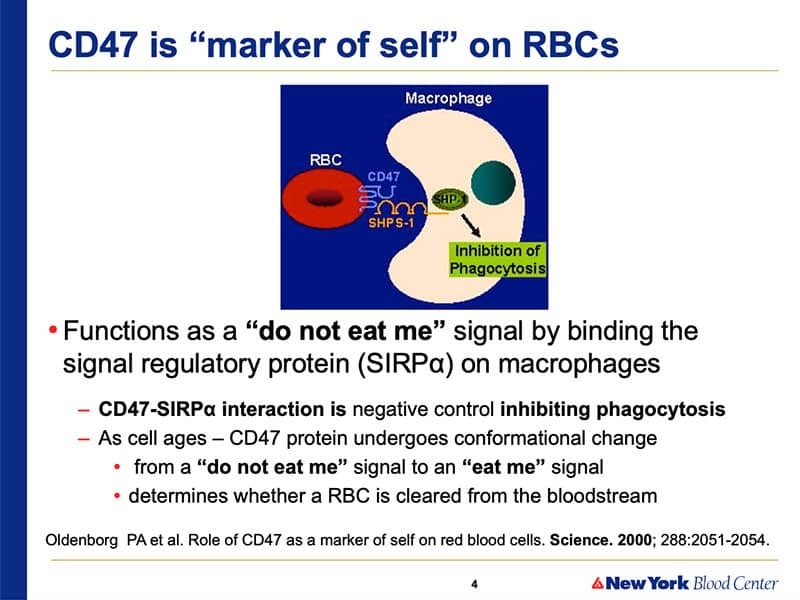 Well, anti-CD47 is now in active trials in several places in the U.S., and it looks like our fears have been realized: This drug heavily coats red blood cells, and causes major problems with ABO testing, antibody detection tests, and platelet compatibility tests. 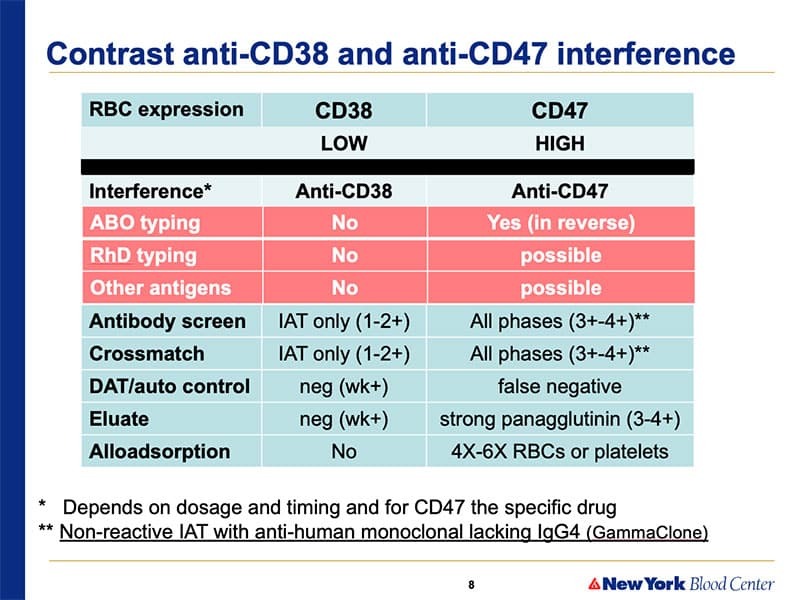 Dr. Connie Westhoff and her group from the New York Blood Center report on their experience with a series of four patients on anti-CD47 in the February 2019 journal, “Transfusion” (see link below). Connie is here to share with us what works, what clearly does NOT work (Hello, DTT! ), and proactive steps clinicians and blood bankers can take to make things much easier for us and the patients on this medication (Hello, pre-treatment genotyping!). Our first thing was to try and remove it from the red cells like it works so well for DARA! 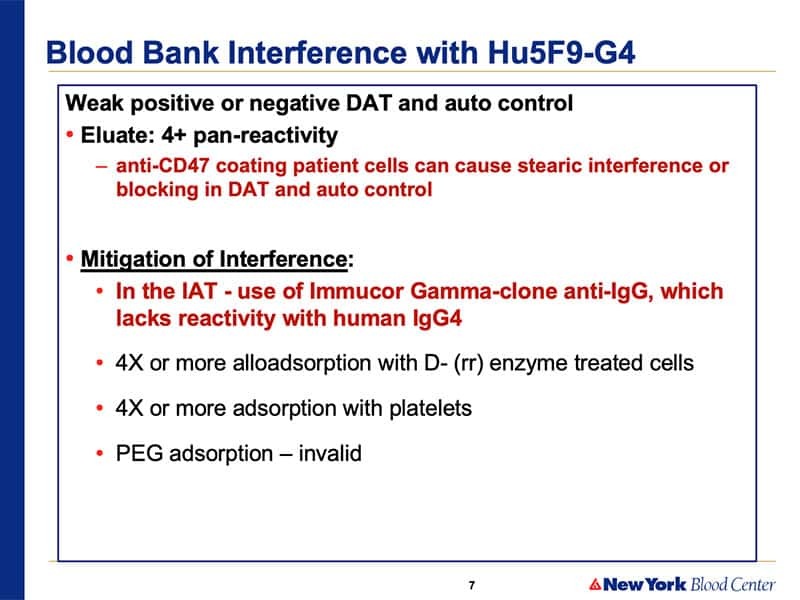 DTT, enzymes… So we threw the kitchen sink at CD47 and nothing “stuck,” so to speak. DTT doesn’t destroy the epitope, enzymes don’t destroy the epitope, papain, chymotrypsin, ficin; none of those things. W.A.R.M. reagent; nothing will denature the CD47 on the test red cells. 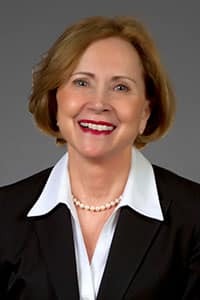 Connie Westhoff, SBB, PhD is the Executive Scientific Director of the Laboratory for Immunohematology and Genomics at the New York Blood Center and the National Center of Blood Group Genomics in Kansas City. Dr. Westhoff lectures nationally and internationally, and has published more than 100 scientific papers and numerous book chapters. She is an Associate Editor for the Immunohematology and Genomics Section of the AABB journal “Transfusion,” and is also an editor of several editions of the AABB “Technical Manual” (my recommended textbook for those learning Transfusion Medicine). Connie is also an avid supporter of the National Blood Foundation and one of the original inductees to the National Blood Foundation Hall of Fame. Check out Connie’s previous appearance on the podcast, where she describes how to deal with serologic Weak D with molecular testing. DISCLAIMER: The opinions expressed in this episode are those of my guest and I alone. Those opinions do not necessarily reflect those of the organizations with which either of us is affiliated. This podcast does not constitute formal medical advice. Please discuss all medical issues and decisions with your local health care providers. Neither Dr. Westhoff nor I have any relevant financial disclosures. The images below are generously provided by Dr. Connie Westhoff. I am a bit lost with the historically labeled units. 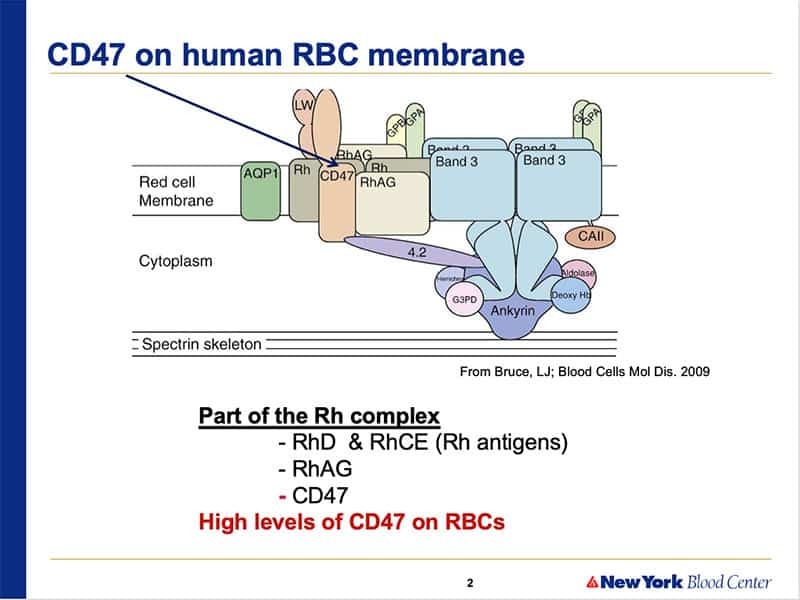 If we have previous RBC antigen profile (RHs,Kk,Lea,b,fya,b,jka,b,MNSs)of a patient and request historically labeled units from blood center, the cost will the less? 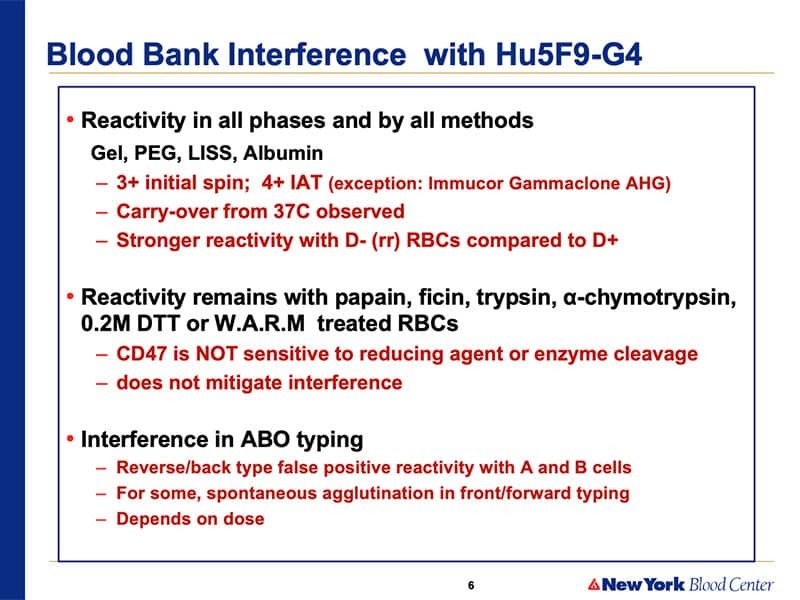 Can we do this every time that patient requires transfusion without sending specimens to reference lab for work up if the patient is on anti CD47 or has warm auto? The historic labeled is for blood center, not for hospitals? Or it works both ways? This is a VERY big topic, and the answers are going to be very individualized, both for blood suppliers and for transfusion services. For cost, every blood supplier (blood center) will have to determine the cost for this service. I can’t tell you what each center will decide, unfortunately, but it’s hard to imagine a cost for units negative by historical testing being MORE than the cost for units that are currently tested by various mechanisms. Whether it will be substantially less, however, is something I can’t say. 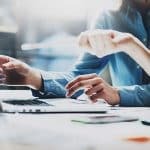 As far as the clinical USE of historically tested units, that decision will be up to the transfusion service medical director in terms of how often a new workup needs to be done if the patient is being genotypically matched for antigen types, for example. It could potentially save some workups, of course, but the facility medical director has final say in that discussion. Sorry I can’t be more specific, but there’s no universal answer.